Philadelphia: B. Wilmsen. (Printed in Germany), n.d.
[Sold] 27 x 18.8 cm. Triumph edition. 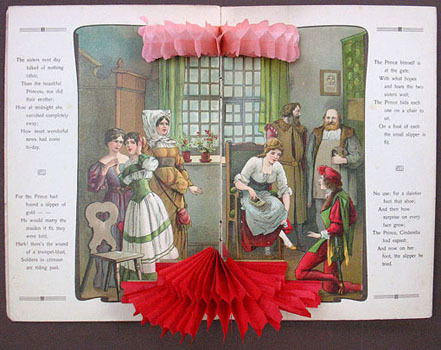 5 double-page color plates, each with a colored tissue paper pop-up. Original stiff pictorial wrappers, slightly soiled and rubbed.